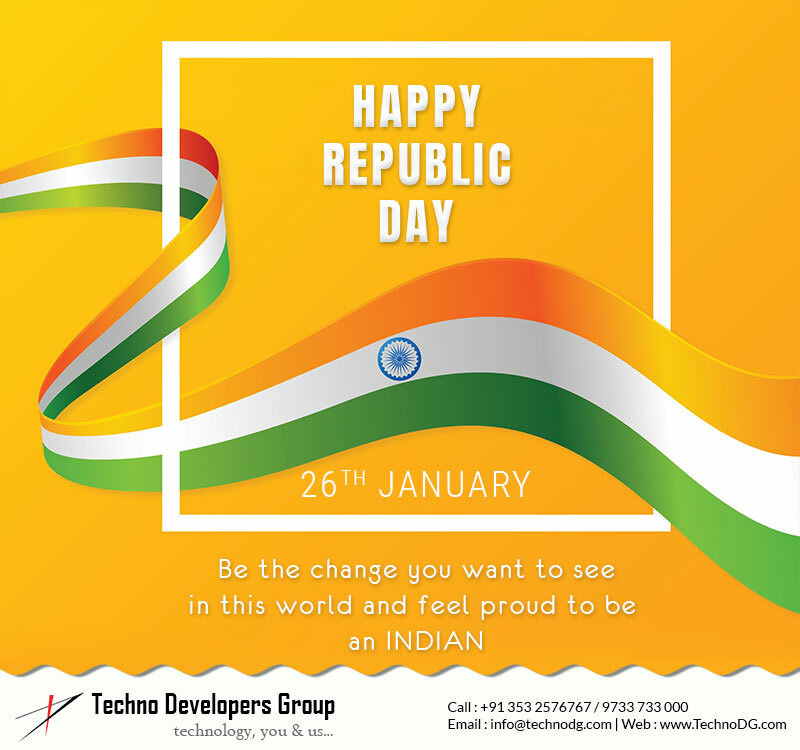 The members of TechnoDG wish you a very Happy 70th Republic Day of India (26th January 2019). As India celebrates its 70th Republic Day tomorrow, come lets remember the golden heritage of our country and be proud to be a part of an ever shining India. This is for your kind information, that our office shall remain CLOSED on Saturday, 26th January 2019 and Sunday, 27th January 2019 (Weekly Off-day). Thus, all the development, support, updates/enquiries and other correspondences will be be taken care off from Monday, 28th January 2019 onwards. Looking for your kind co-operation. Happy Republic Day 2019.